"Command Not Allowed in NI style LAG CLI mode". I guess its time to move to another method. This bonded 4 1Gig ports together for a total of 4Gig. I like that, and when connecting uplinks, that can be important. When you have a switch that has 1Gig ports already, you NEED your uplinks to be faster than your server/pc ports. So, here are some notes I found on Brocade's site when I had to look up this configuration. 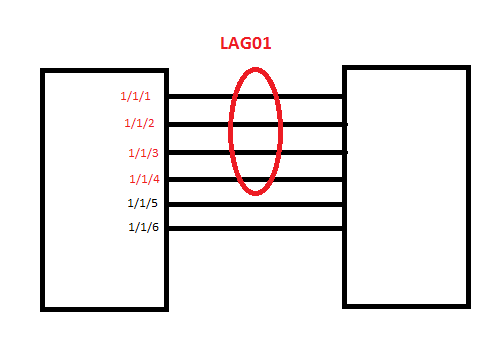 The new LAG configuration procedures supersede the previous configurations procedures for LAGs and Dynamic Link Aggregation. When a Brocade device is upgraded to 08.0.00a any configurations for LAGs or Dynamic Link Aggregation defined in releases prior to 08.0.00a will be converted to a 08.0.00a (and later) compatible LAG configuration. Details about how this conversion is performed are described in “Migrating from a previous release to 08.0.00a LAG or LACP configuration”. Brocade software supports the IEEE 802.3ad standard for link aggregation. This standard describes the Link Aggregation Control Protocol (LACP), a mechanism for allowing ports on both sides of a redundant link to form a trunk link (aggregate link), without the need for manual configuration of the ports into trunk groups. When you enable link aggregation on a group of ports, the ports can negotiate with the ports at the remote end of the links to establish trunk groups.